Such a simple question but more often you need to search for the answers. Some people find this hard to respond to because they equate gratitude with something material or financial. I need to have a high paying job, a huge house or a brand-new car for me to say, I am grateful. Having a grateful heart is going beyond saying a simple “thank you.” It is an appreciation of everything you have in your life, good or bad. 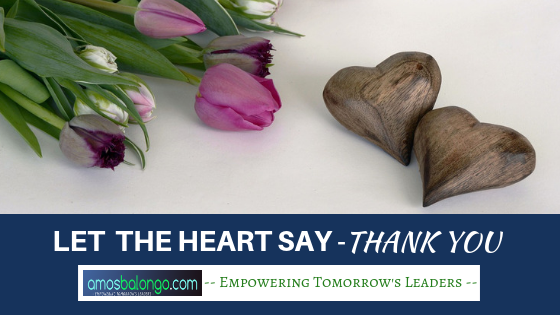 It is as if your heart is the one saying thank you. A thankful nature of your mind and heart. Gratitude is a virtue, a state of mind that would lead you to the path of happiness under any circumstance. You are happy because you know how to appreciate. You are able to see and understand the reason for everything, be it a blessing or a struggle. I remember the time I first set foot in the United States, oh boy, I went through practically all kinds of struggles. From financial to emotional to physical. But I never let those pull me down. What was in my mind was, I am thankful I am here. I have already taken the first step to my dreams and I will pursue .them. When you have learned to embrace everything that life has to offer, it uplifts your spirit and well-being. You are able to celebrate and participate in the beauty of life and you create an environment full of positive emotions. The next time someone asks you what are you grateful for, think about this – when you wake up every morning, you have a roof to protect you, you have food on your table, you have a family that is always there to support you, you are in the best of health, lastly, you have the capacity and ability to read this. 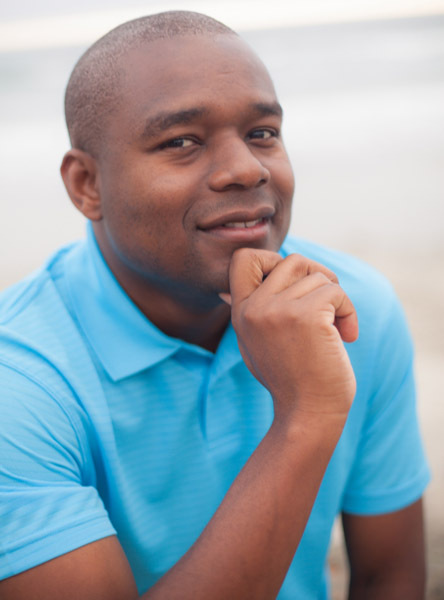 Amos Balongo is an international leadership and motivational speaker and coach. A John Maxwell certified team member, Amos believes that everything rises and falls on leadership.